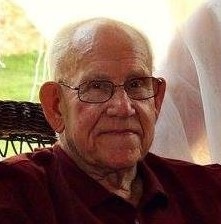 Harold "Woody" L. Woodruff, 92, of Catawissa, went to be with the Lord, Friday August 24, 2018. He was born August 28, 1925 in Rush Township, son of the late George and Lydia (Whalen) Woodruff. 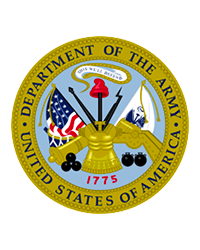 He attended East River School in Rush Township and later joined the United States Army. Woody retired in 1990 from Champion Valley now Smuckers. Upon retiring he worked as the grounds keeper at Numidia Dragway. He loved fixing things and was known as Mr. Fix it. Woody's favorite past time was mowing his lawn. He was a member of St. Paul's Lutheran Church. Woody is survived by his wife the former Jean Newbury, whom he married May 13, 1950, four children; Linda Thomas of Bloomsburg, Wayne Woodruff and wife Barbara of Marquette, MI, Greg Woodruff and wife Donna of Danville, and Carol DePoe and husband Wes of Lightstreet. As well as seven grandchildren; Katie Thomas and fiance John Klinger, Shane Woodruff, Daniel Woodruff and wife Michelle, Vanessa Woodruff, Lydia Hort and husband Jerry, Wesley DePoe and wife Jill, Stacy Fisher and husband Andrew and 9 great grandchildren. He was the last surviving member of his immediate family. He was preceded in death by his parents as well as five brothers; Albert, Ralph, Lee, Paul, and Robert Woodruff, sister Gertrude Roadarmel and a son-in-law Gordon Thomas. Services will be at the convenience of the family. Burial will be at Elan Memorial Park. Family and friends may send online condolences to allenrhornefuneralhome.com. The Allen R. Horne Funeral Home and Cremation Services, 193 McIntyre Road, Catawissa is handling arrangements.